At BMW of Brooklyn we always have a large selection of Pre-Owned BMW 4 Series for sale. As your BMW dealer in Brooklyn NY, we serve customers from Brooklyn, Staten Island, Long Island and all over the greater New York City Area. We guarantee that you will always get the best price on any Pre-Owned BMW 4 Series for sale in our inventory. Whether you’re looking for a Used 2015 BMW 4 Series, a Used 2016 BMW 4 Series or Used 2017 BMW 4 Series, stop in to BMW of Brooklyn today for the best price on any Used BMW 4 Series for sale in our inventory. CARFAX One-Owner. Clean CARFAX. Black Sapphire Metallic 2019 BMW 4 Series 430i xDrive Gran Coupe AWD 8-Speed Automatic Sport 2.0L 4-Cylinder DOHC 16V Turbocharged 430i xDrive Gran Coupe, 4D Hatchback, 2.0L 4-Cylinder DOHC 16V Turbocharged, AWD, Black Sapphire Metallic, Cognac Leather, Adaptive M Suspension, 19" M wheel 704M w/perf rft, Active Blind Spot Detection, Aerodynamic Kit, Convenience Package, Head-Up Display, Heated Front Seats, Heated Steering Wheel, Lumbar Support, M Sport Pack w/Cognac/Venetian Beige/Coral, M Sport Package (337), M Steering Wheel, Shadowline Exterior Trim, Standard Suspension, Wheels: 18" x 8" Star-Spoke (Style 400M). Recent Arrival! Odometer is 2885 miles below market average! 23/33 City/Highway MPG Life Quality BMW has been providing quality vehicles for over 40 years. Stop in today to see our wide range of makes and models and experience service and support like no other. This vehicle won't last long! CARFAX One-Owner. Clean CARFAX. Alpine White 2019 BMW 4 Series 440i xDrive AWD 8-Speed Automatic Sport 3.0L 6-Cylinder DOHC 24V Turbocharged 2D Coupe, 3.0L 6-Cylinder DOHC 24V Turbocharged, AWD, Alpine White, Active Blind Spot Detection, Convenience Package, Dakota Leather Upholstery, Heated Front Seats. Recent Arrival! Odometer is 1894 miles below market average! 21/31 City/Highway MPG Life Quality BMW has been providing quality vehicles for over 40 years. Stop in today to see our wide range of makes and models and experience service and support like no other. This vehicle won't last long! BMW of Brooklyn is proud to offer you a wide selection of used BMW’s. Whether you’re looking for one of our best-selling cars, the Used 3 Series, Used 4 Series or the Used 5 Series or for one of the industry’s leading SUV’s the Used X1, Used X3 or the Used X5, there is no doubt we can find you the right vehicle. Feel free to take a look at any of our Used BMW’s, their might be another vehicle that meets your needs. At BMW of Brooklyn you will always get the best price on any of our Used BMW’s for sale. Regardless of whether you live in Brooklyn, Staten Island or Long Island we have customers from all over the Tri-State area. If you have a vehicle in mind, please send us an email or give us a call at your convenience. 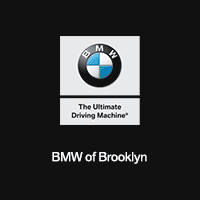 BMW of Brooklyn is here to make your buying experience the best its every been and our team is here to make it quick and simple. Thank you for stopping by, we look forward to meeting you.